Taking the ferry from Gooseberry Point to Lummi Island is like sailing into the past. The Whatcom Chief looks like a cross between a tugboat and a barge. It can hold 22 cars for the 5-minute ride to the island and is Whatcom County’s only ferry. Once on the island, which is just 9.25 square miles in land mass and has a population of around 1,000 full-time residents, it is clear that you’ve arrived in a place built for peace and quiet. Amazing that it so close to Seattle, just an hour and forty minute drive to the ferry dock. The two-lane road winds through beautiful forest, farm and ocean views. Each September the ferry goes into dry dock for inspection and repairs, which usually last around 3 weeks. During that time, the only way on and off the island is by passenger-only ferry, so things really slow down. We were lucky enough to receive a tour of a reef net fishing enterprise by Deb and Pete Granger, two of the region’s best cheerleaders and co-chairs of the upcoming Seafeast Festival in Bellingham (Sept. 21 & 22, 2018). Pete’s family has been involved in reef-net fishing for multiple generations. At a young age, Pete joined the family out on the water, and today Deb is also fully part of the operation. Reef net fishing is a very unique method of catching salmon, invented by the Coast Salish Indians hundreds of years ago. In 1888, Melzer Granger (Pete’s ancestor, and one of the first white families to settle there) arrived on the island with his 7 kids. They soon learned the fishing technique from the Native Americans, and their descendants have been involved ever since. Soon after we arrived, we met and talked with Roger Granger, Pete’s cousin. Roger started working the nets when he was 4 years old and was a wealth of history. So how does it all work? We hopped into a small motorboat to go out to their “gear.” A gear is made up of two stationary boats anchored a short distance apart. Set between the boats is a large net, which also rests on top of an artificial reef built on the sea floor. The boats and nets are oriented so that the “flood” tide (or dominant daytime tide) will guide the fish up the reef and into the bunt of the net. This is set on the route of the salmon returning to their spawning ground. One of the crew, called the “watcher” stands on top of a tower on one of the boats, watching for the salmon to come. When the fish are sighted, the watcher yells out a warning. Our host Deb is the watcher on their boats, and her signature yell is “Give ‘em Hell!” Upon that signal, the rest of the crew starts hauling in the nets, these days helped out with a solar-powered winch. The fish are pulled into the net and then maneuvered into a live well in one of the boats, where they stay until the day of fishing comes to a close. The fish are then individually bled (a not very appealing way of killing them) and put on ice in a large cooler. Having that time to “relax” in the holding well results in a sweeter tasting fish, because it allows for the dissipation of bitter lactic acid build up. This method is also more humane and sustainable. Any unwanted species of fish is harmlessly emptied back into the water. It is also extremely energy efficient. The gear is set up once at the beginning of the season and left there until the end. During the off-season, the boats, netting, and artificial reef are stored on land. 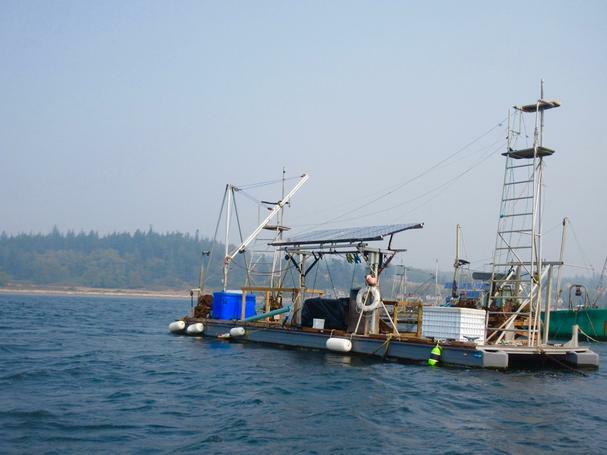 Off the coast of Lummi Island, there are 8 gear set-ups, all in a row. A few more are set up among the San Juan Islands, but this style of fishing may soon be disappearing. Most of the families involved have watched the kids grow up and move elsewhere (like most other small towns in America). It is arduous work and the catch each year can vary greatly. The season is also highly regulated by the Pacific Salmon Commission, which is a treaty agreement between the US, Canada, and Native Americans. 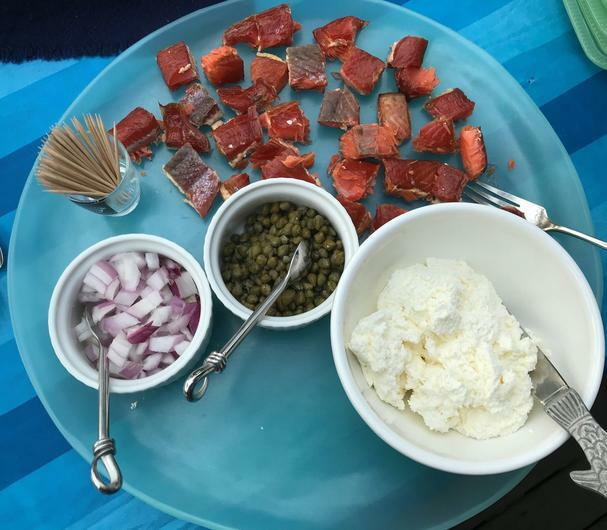 After our excursion out to the gear, we went back to the beach cabin to hear more from Roger Granger, and sample some of the fresh smoked salmon, that they had caught the day before. And – yes it was delicious! But, we didn’t want to overeat, because our next stop was the well known Willows Inn. The Willows Inn first starting receiving international attention in 2011 when the current Head Chef, Blaine Wetzel, returned from his job at the vaunted Copenhagen Noma restaurant (4-time winner of the best restaurant in the world by the World’s Fifty Best List.) Since then, the Willows Inn is considered the best fine-dining in the Pacific Northwest, if not the entire country. Chef Wetzel has brought a lot of that award-winning cooking back to his home state. He was listed by Food & Wine magazine as the Best New Chef in 2012 and named Rising Star Chef of the Year by the James Beard Foundation in 2015. Dinner is by reservation only and is a prix fixe tasting menu that is entirely seasonal and local, whether farmed, fished or foraged. We were there for lunch and much enjoyed our tasting samples. We especially loved the sardines, topped with a sparky horseradish sauce. 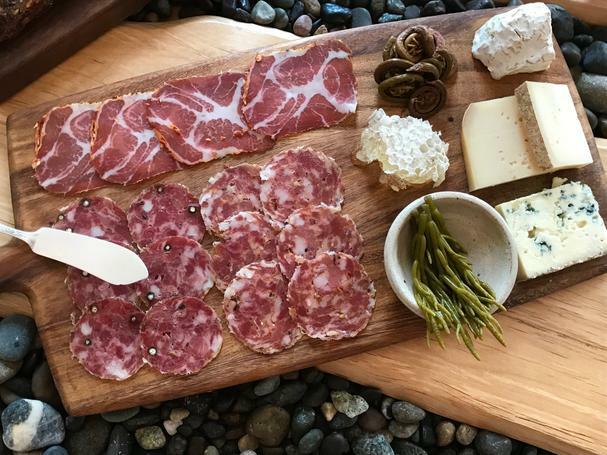 We shared a Charcuterie board, which included local cheeses, venison sausage, sea asparagus, and fiddlehead ferns. The mix of textures, from the creaminess of the cheeses to the crunchy fiddleheads, much added to our enjoyment. 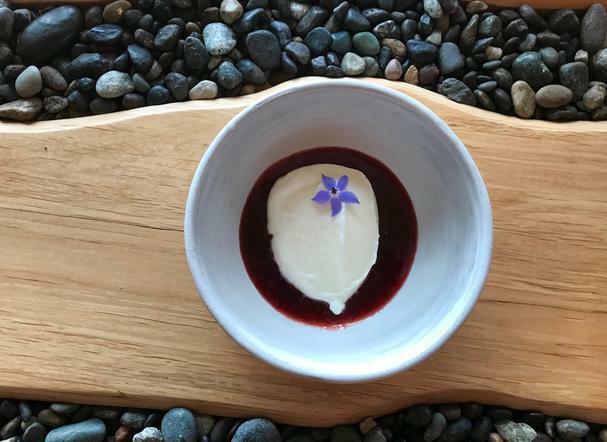 For dessert, we discovered goat milk ice cream, served with strawberry jam and an adorable blue flower. 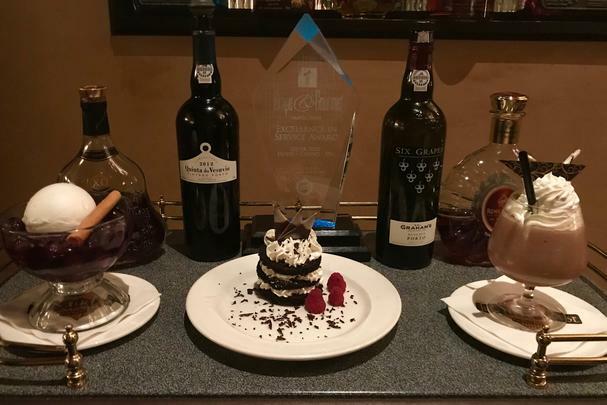 Another excellent culinary experience to be had in the Bellingham area is the Steak House, located in the Silver Reef Casino just north of Bellingham in Ferndale. The ambiance is very much an old style, fine dining restaurant, with soft lighting, leather banquet seating, and quiet atmosphere. After our appetizers, our first course was Dungeness Crab Cakes, lightly pan-fried and served with peppercorn crackers. Next was a table-side prepared Caesar Salad. Our waiter had such a polished presentation, it was like watching a salad ballet! And the taste of the salad lived up to the performance. Of course, we had to order the steak. Among the table, we ordered three different steaks: Steak Diane, Rib Eye, and Filet Mignon. The Rib Eye and Filet were definitely worth writing home about, juicy and tender. But the Steak Diane was the table favorite. Like the Caesar – this dish came with a floor show presentation. 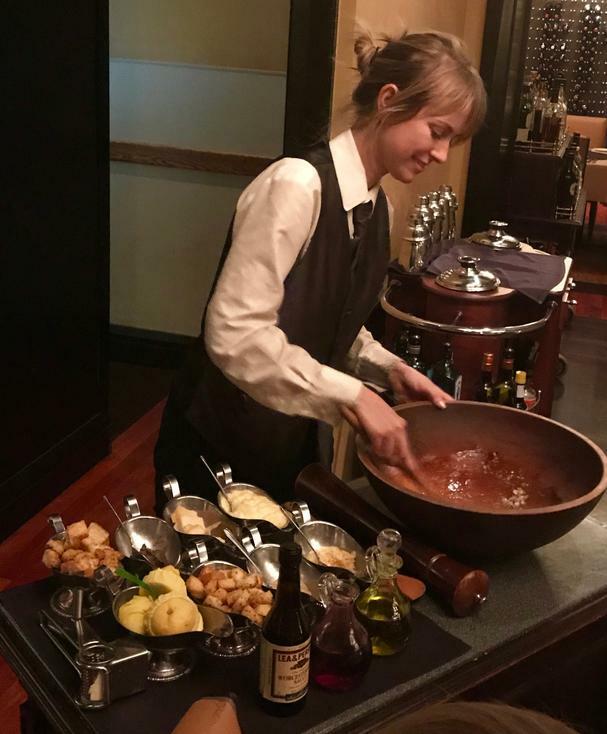 Prepared at the table, complete with a flaming pan, the waiter combined shallots, thyme, stone ground mustard, and mushrooms, sautéed with a Filet Mignon to create a masterpiece. Steak requires a full-bodied red wine, and red wine needs to breathe a bit to come to peak flavor. The Steakhouse's solution is their spinning decanters. The wine is poured into what looks like your standard glass decanter, which is then set on a platform and spun. A great way to get the best out of a great bottle of wine! Dessert? Very tempting; however we just admired the treats. Earlier in the day, we had been treated to a tour of the hotel. While the rooms we stayed in were lovely and comfortable, with everything you could possibly want (including a three head shower), the Presidential Suite and the Hospitality Suite were definitely of a different plane. Both have an ample living room space, separate bedroom with king-size bed, a towering six head shower, a fireplace, and a wet bar. The main difference is the style of décor. The Hospitality Suite is modern, with lots of glass and stone, sharp, clean lines and subdued tones of brown and beige. The Presidential Suite is more graceful, with highlights of royal blue, crystal, and a gorgeous dark hardwood floor. 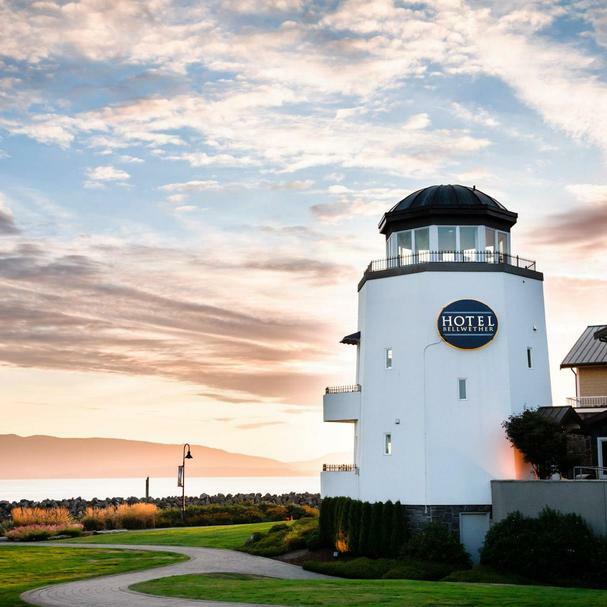 The next morning, we headed out to the Hotel Bellwether located on the beautiful waterfront of Bellingham Bay. Pulling into the driveway, the first thing we noticed is the lighthouse structure on the corner. I could easily imagine a lighthouse keeper, watching for wayward ships or signs of incoming storms. We were delighted to learn that it houses the Lighthouse Suite, with a stunning 360 view of the water. The suite encompasses three stories, all with plenty of windows, and a patio or balcony. And of course, it is the third-floor observation deck that has the wrap-around windows and terrace, where you can soak up the 360 view! The Hotel Bellwether, recently voted as the #1 Luxury Hotel by Evening Magazine’s Best of the Northwest, has a total of ten different layouts for their rooms, all featuring lovely amenities such as natural gas fireplaces and air-jetted bathtubs. For breakfast, we joined the lucky residents of the hotel in the Lighthouse Bar & Grill. A highlight was the Lighthouse Signature Benedict, offered in three versions, traditional soft poached egg and ham with house-made hollandaise, Pacific Crab Benedict, and my favorite, the Avocado & Tomato Benedict. All of the Benedicts are served on a buttery croissant and with Potatoes O’Brien. 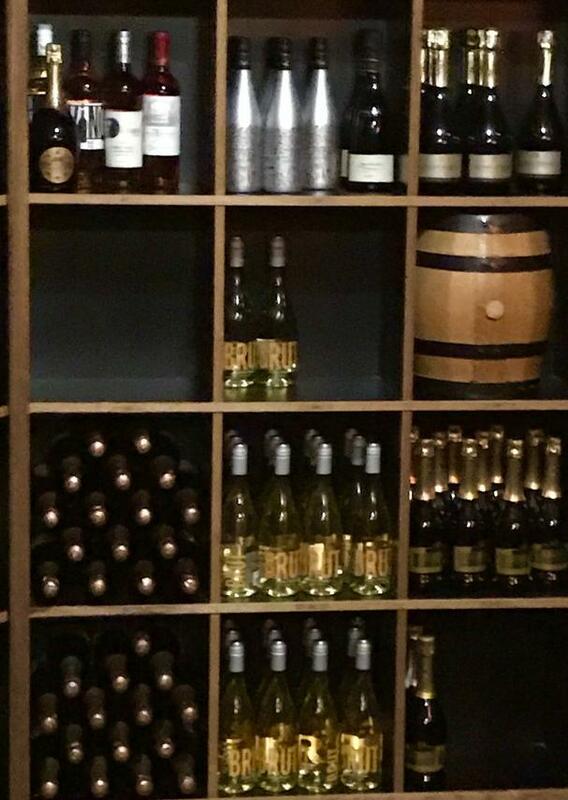 The Lighthouse Bar and Grill also features an incredible and beautiful wine cellar which you can book for a wine tasting or even a full dinner. After that delicious breakfast, we were ready for some local culture. The Whatcom Museum, which is a Smithsonian Institute Affiliate, is actually made up of three separate buildings. The one we visited is the Old City Hall, an iconic feature of the Bellingham skyline. Built in 1892, it has been home to the museum since 1941. 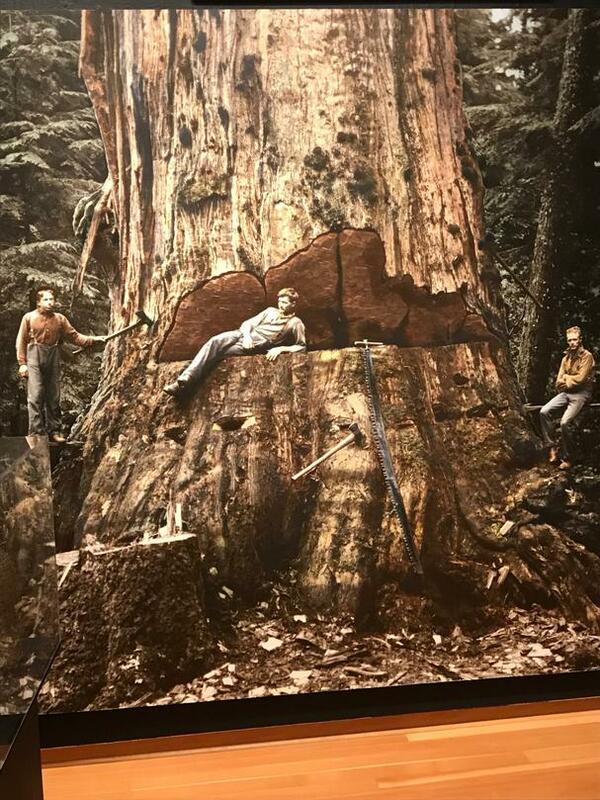 The museum showcases many permanent exhibits with a focus on art and artifacts of the Pacific Northwest from the 19th century to current times. One of the displays we visited was the Allsop Gallery, showcasing Bellingham’s maritime heritage, such as early steamboats, fisheries, and notable schooners. This is especially interesting as the exhibit is “back-lit” by the view out the window of Bellingham Bay and the waterfront. It would be hard to hang out on any waterfront without the chance to try some oysters! So a visit to the Drayton Harbor Oyster Co in nearby Blaine was definitely in order. The company actually started as a community effort with the formation of the Drayton Harbor Community Oyster Farm. At the time, you couldn’t actually farm oysters in the bay, due to such a high level of chronic bacterial contamination. So their first job was to clean up the harbor. In 2004, they launched a community-wide effort to reduce pollution, which resulted in 575 acres which became conditionally closed to shellfish farming. 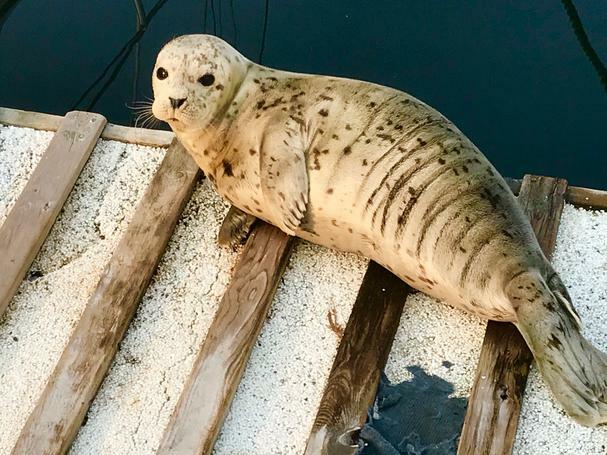 The clean-up success was continued, until 2016 when the Washington State Health Department re-opened the harbor for harvesting March through November. In 2014 a father and son team, Steve and Mark Seymour took over the Drayton Harbor Oyster Company. Today their tiny 320 square-foot cafe on Peace Portal Drive in Blaine is a gathering place for oyster lovers (in 2019 they will move into a newer and bigger location on the same street). There is limited outdoor and indoor seating, but they will shuck the oysters for you to take home. Or teach you how to do it yourself if needed. A chalk board on the wall lists the oysters were harvested that day. Tide-to-table! 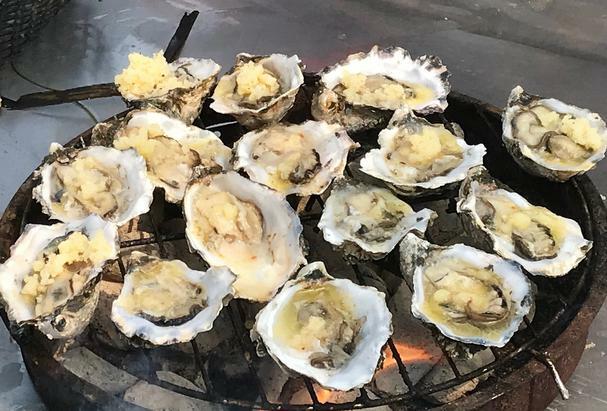 If you are eating there, be sure to try their delicious barbecued oysters, fresh from their charcoal BBQ; they come with some fantastic toppings. My favorite was a mix of butter, blue cheese, and white wine. Michael (Mr. Purist) prefers his oysters raw, and he reports that they were heavenly. We were told that some of the oysters go to Atwood Ales, right outside of Blaine, for use in their Dark Harbor Stout. So we decided to travel out there to hear more about it. Head brewer Josh Atwood has a lot of innovative ideas about making beer. But before the innovations, came the traditions. The farmhouse tradition of brewing dates back several centuries to regions in Belgium, France, and western Germany. 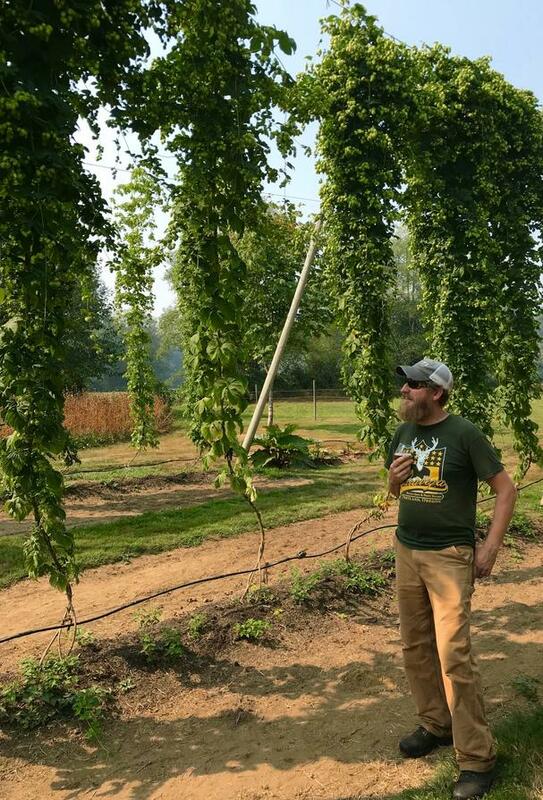 The idea of farmhouse brewing is that the ingredients that go into the beer are produced on the farm. Today, Josh grows and processes the majority of what goes into his beer, including hops, fruit, vegetables, and grains. He also uses oysters from Drayton Harbor Oyster Co. to create his subtle and briny stout, with tastes of caramel. I was surprised to learn that using oysters in making beer is actually an old recipe! Michael’s favorite was the Grange, which is a malty and lightly sweet Saison style. Mo’s Saison (which is named after Josh’s wife Monica) was selected as a finalist for “Best Saison in Washington State in the July 2017 issue of Seattle Magazine This year’s version of Mo’s Saison was flavored with thyme, but previous years have featured ingredients such as stinging nettles, rosemary, fresh pressed apple juice, and nasturtium flowers. While they don’t have a tasting room that is open to the public, they do host periodic events and farm tours. You can visit their website here to find out where these delicious beers are sold. You can experience all the fun, fantastic food, scenery, and more that Bellingham has to offer at this year’s Seafeast festival on Sept. 21st and 22nd. Seafeast is undoubtedly about the fantastic seafood, but the history of Bellingham, the thriving commercial waterfront, and fishing fleets play starring roles. Last year they had an attendance of over 10,000. Many of the events and activities focus on education, especially about the environment. And it must have worked. While most events like this would end up sending over 50% of its refuse to the landfill, last year’s Seafeast ended up sending just 1%, with the rest going to compost and recycling. Along with that, you can partake in boat tours and rides, 120 vendor booths, bands, and entertainment acts on multiple stages and sample a plethora of local beers at the Brews-with-a-View beer garden. Bellingham is a beer mecca. Bellingham and Whatcom County Craft Breweries have won 44 awards at 2018 National Beer Competitions. And if you consider yourself an oyster champion, you can enter the Oyster Shucking and Eating competition. Last year’s teams shucked and slurped over 70 oysters in 2 minutes! We were fortunate to meet two amazing young women involved in the festival planning committee. Liz and Elma are both commercial fishers working in Alaska during the season. Liz has actually retired from fishing, but she still had some great stories. Elma is well known as a FisherPoet who participates in a number of the of the FisherPoet events during the festival. The poems produced by this unique community of creativity are varied and beautiful. No matter the time of year, a great way to experience the Bellingham area is by getting out your hiking boots and setting out on one of the many scenic trails around town. 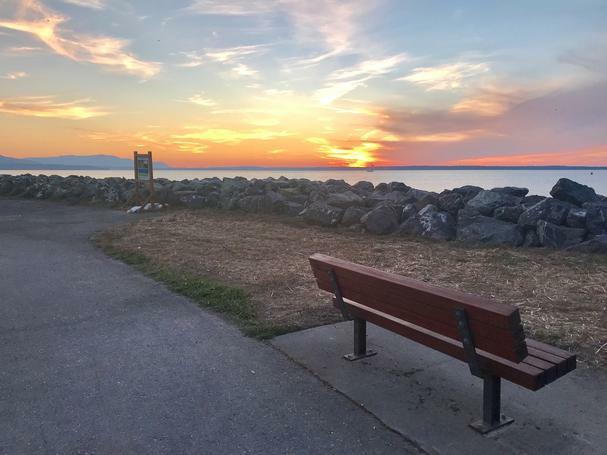 The South Bay Hike is 4 miles round trip and easily accessible from Fairhaven at 10th and Mill Ave. Much of the hike is actually on a raised and very long pier – giving you exquisite views of the bay and beyond. Along the way, there are playfields, parks and Wood’s Coffee, a charming café where you can take a break with a hot, or cold brew on their deck overlooking the water. For more adventurous hikes, a favorite is Oyster Dome, which is 6.5 miles round trip with 1,900 ft. of elevation gain. The trail takes you through forests of second-growth alder, western, and Douglas fir. When you make it the rocky promontory called Oyster Dome, you are rewarded with a stunning view of the Skagit River, Lummi, and Orcas Islands, and Samish Bay. Once you’ve done all that hiking, you deserve a treat. So head over to Chocolate Necessities on Commercial St. in downtown Bellingham. 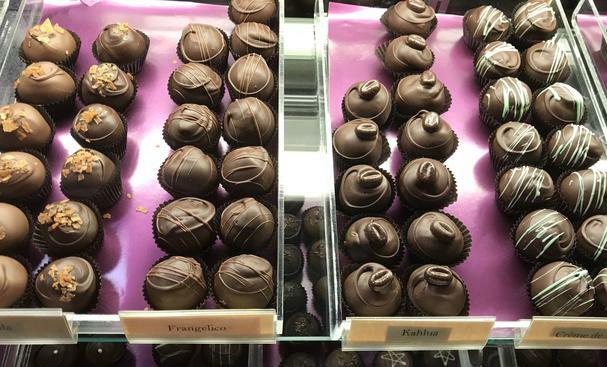 Their top-selling item is the handmade and scrumptious truffles. Along with the old standbys of caramel, nugget, and fruit, they feature some genuinely creative recipes. I tried the blue cheese and balsamic vinegar truffle, and I’ve never tasted anything quite like it. I love both balsamic vinegar and blue cheese, but the combination, encased in the highest grade of dark chocolate available created a taste that didn’t really resemble either of those two ingredients. The flavor was tart and creamy and set off the excellent chocolate supremely. You can also indulge in their authentic gelato, with its great texture and refreshing taste. I especially like the watermelon gelato. It was energizing and delicious. Our two days in Bellingham sure were full! Full of beautiful scenery, lots of history, amazing food, and great beer! We can’t wait to go back, and you never know who will be waiting for you! Editorial disclosure: Food and lodging were generously provided.